AiCare’s innovation in artificial intelligence enables personalized care to empower the senior citizens and their caretakers for independent lifestyle. AiCare’s innovation in artificial intelligence personalizes the care for each senior citizen. Our platform measures the individual activity level to provide precise life care guidance. Our personalized big data and intelligent analytics capture each senior citizen’s behavioral pattern 24/7 in real-time to enable individualized care. Indoor location tracking will locate the citizens in real-time to prevent inadvertent accident and wandering while monitoring social interactivity. Three-dimensional motion analysis assess each individual activities of daily living. Monitoring of high impact physical behavior will detect and predict mechanical falls. Caring for senior residents come with some challenges that can be managed with the use of AiCare solution. 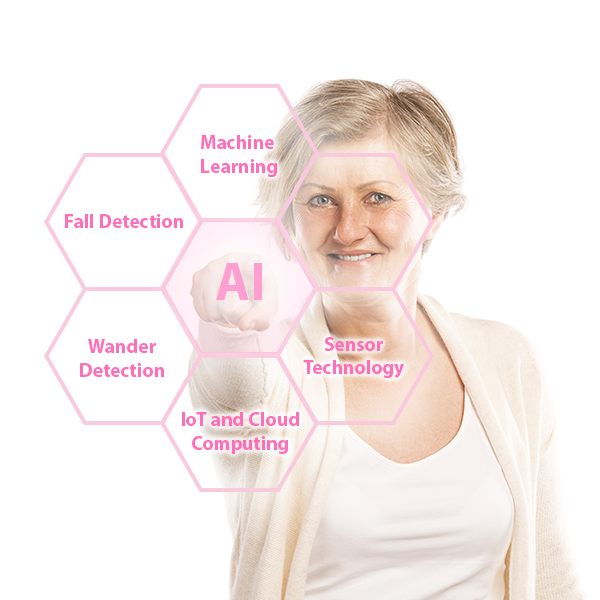 AiCare’s innovation in artificial intelligence and data platform personalizes individual security, safety, and care to empower an independent life style for each senior citizen. Located in Taoyuan City, Taiwan. MCI: development of advanced transmission and access technologies.